Warning! Major Adobe Rant Ahead. Those of you that are rant-phobic may want to skip this post. A few days ago over on Facebook I asked for people’s video editing program referrals and ended up deciding to take a chance on Adobe’s Premiere Elements 15 (because I won’t pay a subscription each year for software I don’t use all the time). The purchase price is $99 or $149 if you get Photoshop Elements with it at the same time. So how did it go? Got a few minutes? I’ve owned previous versions of Premiere Elements and felt burned since Adobe rarely supports it long-term when a new version comes out. More to the point, I’ve had earlier versions crash or refuse to open after the one year mark. As a video editor it’s pretty decent with some cool effects and to me more important, keyframing. Where am I going with this? Adobe is getting on my last nerve with what I’ve experienced so far and I haven’t even actually edited any video yet. Let’s begin with the buying experience. I don’t trust Adobe with my credit card information so I bought a hard copy at Best Buy. In order for the software to be installed, it’s activated by a scan at the cash register and that registration is then sent to Adobe. Fair enough. They want to protect against illegal copies. Fine. Next up, installation. I get home and in order to just get in the box I have to slice through four different pieces of tape that holds the inner box in the outer box unless you just lose all patience and rip the stupid thing open. That’s just to get to the inner contents. I pull out the DVD for the Mac version (they include a different DVD for a Windows install). I would expect that since it was pre-registered because they scanned it at the store that it would just install. Oh no, you must first go to Adobe.com and log in (or create an account if you don’t have one) and input the code (on a special page) included. This gives you a completely different serial number that the program insists on having before installation and puts the software in a list in your Adobe account for their own reasons. They claim it’s for support but seeing how their support is mostly canned answers to basic questions or reading forums, it’s hardly ideal. Then I install the program. I fire it up and it’s default is “duh, I’ve never edited video before” and the advanced features are more or less hidden away. After looking around for 30 minutes or so (because including even basic instruction with the software is something you can’t do anymore) I manage to find the more advanced bits I want eventually. But if I click on anything in the top tab (where the kind of editing you want to do is more or less —mostly less — listed) all the available options should open up and I shouldn’t need to search for them. I do actually “like” Adobe’s Premiere Elements 15. It has a lot of really great features that will do everything I probably need, but Adobe is getting very close to me just saying to heck with it and going to find better or more useful alternatives. I don’t require the power of Photoshop. I usually just use the very simple and easy to use Acorn, or if more is needed, Pixelmator. I don’t need Lightroom because Photos from Apple is good enough (not great, but good enough). I don’t have a use for Adobe’s other video editing software especially at their insane subscription pricing. 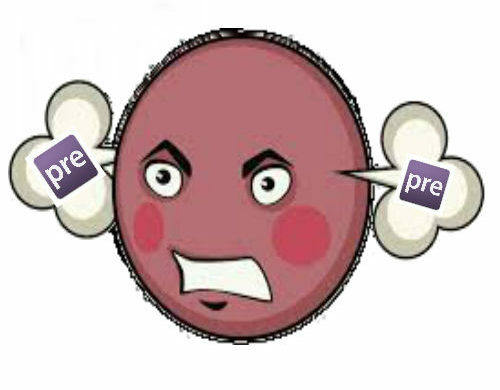 Premiere Elements is their last chance for me and I will go with another solution if they bail out on this version after a year which has been what they’ve done over the last few versions. I am not against subscription pricing. I think (so far) Microsoft with Office for the Mac has hit it out of the park with five licenses and a ton of cloud storage for $99 a year. I also subscribe to a few others, but Adobe and I will soon part company if things remain the same.